Are J. Cole and Young Thug up to something? Update: It has been confirmed! Sometimes, an unlikely partnership can yield some truly magnificent results. On that note, many were surprised when Young Thug joined J. Cole for the KOD Tour, considering their stylistic variance. 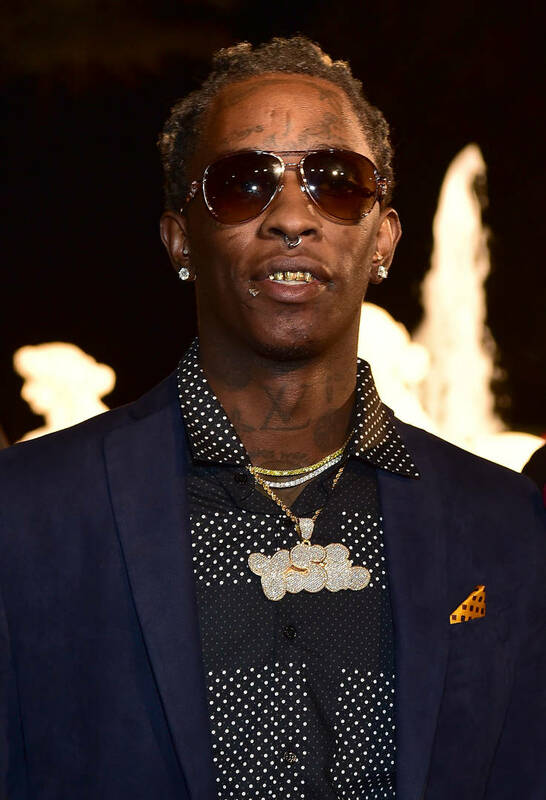 Yet Thugger's wide-ranging talent appears to have wooed the Dreamville capo; we've already seen Thugger lend his voice to EarthGang's MirrorLand single "Proud Of U," further solidifying the alliance. Now, it would appear that Cole and Thugger are looking to bring their creative partnership to the next level. At the very least, that's the latest rumor, so take this one appropriately well-salted. XXL claims that Young Thug may have enlisted J. Cole to executive produce his upcoming album, which may or may not be Barter 7. While neither party has confirmed their involvement, it wouldn't be the first time Cole stepped in to fill the role - he previously handled EP duties on Swizz Beatz' Poison last year, which actually featured Young Thug on "25 Soldiers." Rumor though it may be, XXL is a credible source, which gives this one a little more validity. Would you be excited to hear Cole's take on a Young Thug album? Sound off below.